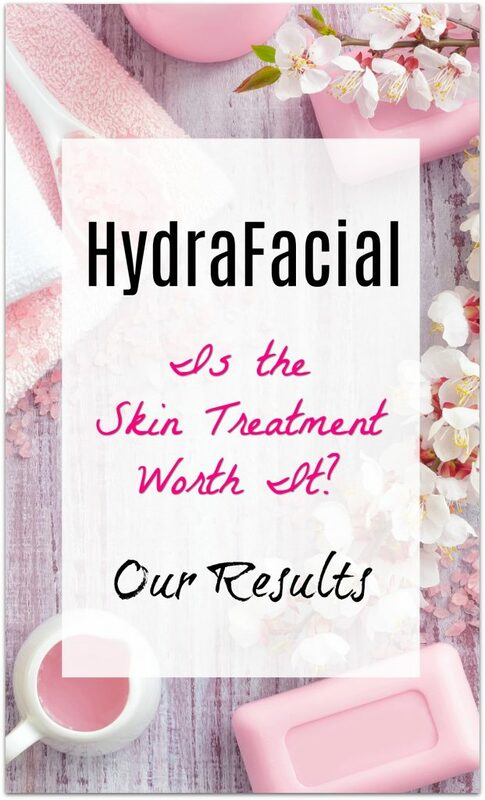 HydraFacial Skin Treatment – Is It Worth It? 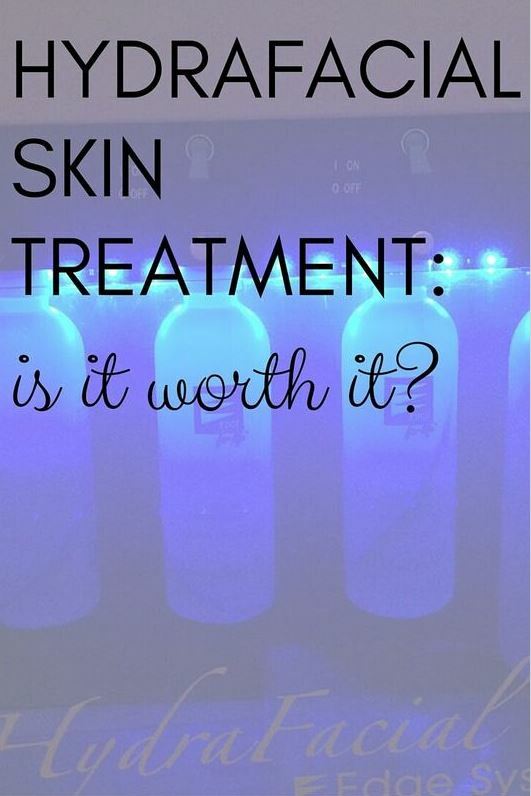 I recently received a complimentary HydraFacial Skin Treatment at a spa which I won’t name (because this is about this particular treatment, not the spa itself). I went into it not knowing anything about the procedure (it was chosen for me by the spa) or the price point ($285 at my spa). So I had no expectations. I still was not impressed. 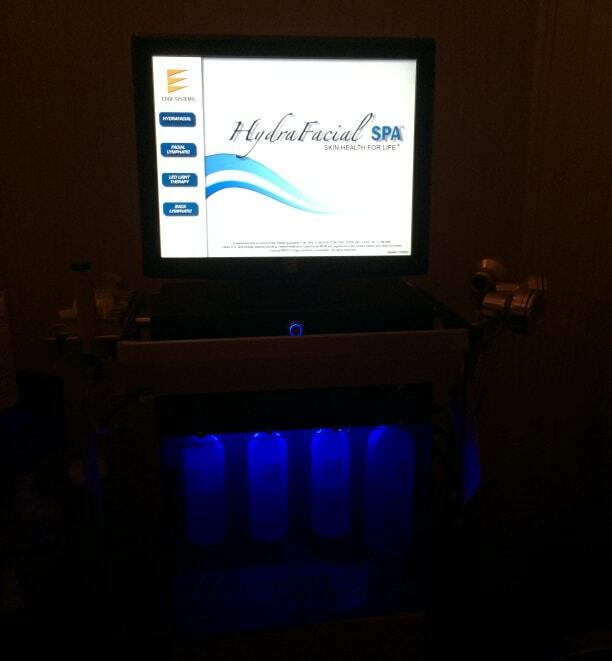 The HydraFacial is a gentle, resurfacing procedure for the skin, much like a microdermabrasion or peel. When I walked into the treatment room, I was scared at the equipment staring back at me. I’ve never had a spa treatment that included illuminated bottles glowing in the darkened treatment room or suction vacuums of any kind. Apparently this treatment was featured on The Real Housewives of Beverly Hills. That doesn’t really make it sound any more appealing to me, quite honestly, but that’s what they like to tout. A bunch of celebrities and shows have featured it. I think it’s just a publicity stunt, though, with not too much results. After being really scared about what was about to happen (since I was told NOTHING beforehand), I said okay to the multi-layered treatment of applying product, using massage techniques on the face, using an ultraviolet light on the skin, and then a vacuum method to draw out impurities. I was told I could see what came out of my skin afterwards. The procedure wasn’t too bad. The products applied didn’t cause any discomfort, except for some burning around my nose. I told my technician about it and she immediately wiped it off with water. I did notice that area was sensitive for days afterwards, so clearly the product made some skin irritation. The massage was the highlight of the whole treatment. It was relaxing and soothing, but it was a massage by human hands that could happen anywhere. Related: Try out the HydraFacial MD Skincare line at home, if you don’t (or can’t) go to a participating spa. Then came the vacuum. I’ve had some cystic acne that’s been treated by an organic spa for several months now. It’s really cleared up, but every now and then I have some residue come to the surface in the form of whiteheads. I expected the area to be somewhat cleared out by the suction considering most of the problems were right on the surface anyway. But that’s the problem. They weren’t. I’ve had a blackhead on the surface of my nose ever since my last facial, too. That wasn’t removed, either. When I go to my facialist, she gets all the stuff out at a fraction of the cost of the HydraFacial. More infuriating, I accidentally brushed my cheek a couple hours afterwards and a pimple popped and drained. Somehow, this wasn’t taken care of by the vacuum suction of the expensive HydraFacial, but toilet paper and my fingertips had to take care of the problem. The technician of the HydraFacial showed me what had come off of my skin after the procedure was done. A couple of blackheads were floating around in some milky-looking water. She said it actually wasn’t too bad, considering that I’ve never had a HydraFacial before (it had also been 2-3 weeks since my last facial). So, the $125, two-hour facials and massage that I get at the Little Green Spa in Orlando, Florida work so good using organic ingredients that there is nothing left to remove with the chemical-based, 50-minute, $285 HydraFacial? Well, that’s a selling point for The Little Green Spa and the Eminence Organic Skincare line, don’t you think? Apparently my skin was infused with antioxidants during the treatment, and when I woke up the next morning my skin was supposed to be the best that it was going to look. Sorry, there was no change. Except that portions of my face hurt for a few days afterwards. 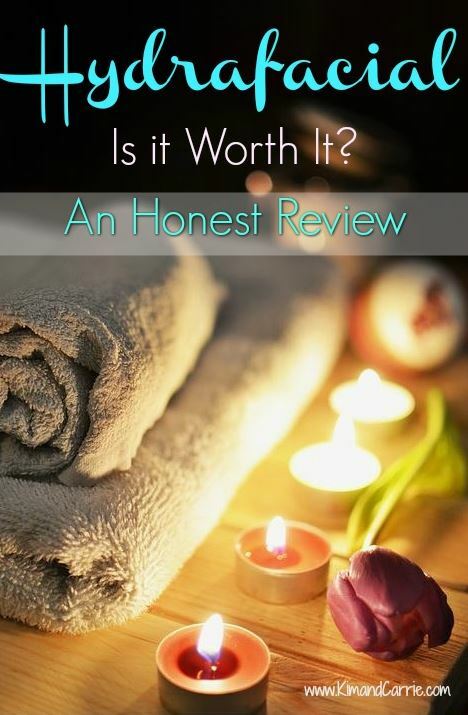 I’d say save your money for more natural, less expensive spa treatments. Apparently my paprika/jalapeno/kale (I am seriously NOT joking!!) skin treatments at the Little Green Spa are working wonders – and saving money. Hi Jessica, Not sure. It was in a hotel spa. Could be the answer. Glad you found it worked! I LOVED my hydrafacial, Kristina Murray in St. Louis did mine. I’m 50 and my wrinkles disappeared so much that my boyfriend who never notices anything asked me about it! That wore off after 2 weeks but then 30 days later it’s like the collagen is growing all of the sudden and the lines around my eyes are going away! I’m so happy getting another one done next week. Want to buy one for home use but doubt it would have the same effect since don’t have the serums etc. Glad to hear you had a positive experience with yours! 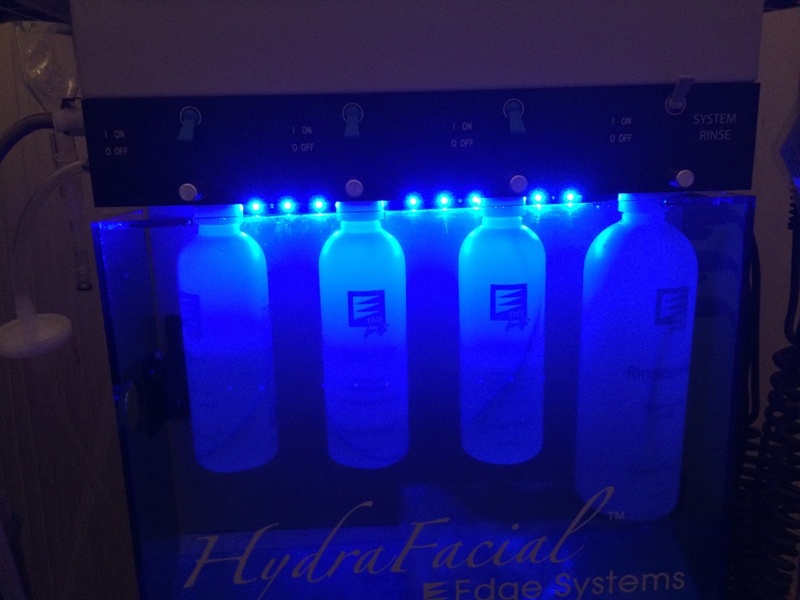 Hydro facial all hype and not worth the money! Yeah, I tried it last night. It was my first microdermabrasion period. I liked the tx, my technician was excellent, but it did not get rid of congestion like a classic facial would. My skin does look plumper. We will see how long that lasts. I, too, thought it was overpriced for what it is. Especially since it is not hard to buy a suction device and do a (most) of this on your own. I thought the sebum & dead skin water that they show you afterwards was gimmicky. follow-up: the plumping effect lasted 29-30 hours I think. I think a classic facial with steam etc. is just as effective! They do not nee to show you all the sebum they have removed for you. lol. We agree! It’s just too high priced for not even special effects, so to speak! If you go to a medical spa they have the medical grade hydrafacial machine instead of the basic one (you have to be under a doctor to get the med machine) and it works wonders for my acneic skin. It uses 30% glycolic which makes my skin glow the same day, then lightly peel the next day. But I get one once a month and my skin has never been so amazing. I would try a medical grade one to see the difference! I received an invitation from a spa here in Miami to attend a “preview treatment” for $60, which I think is going to be more of a sales pitch to try and sell me a package. Anyway, I am in the market for something to help my skin, but it seems like this probably isn’t going to be the answer for my needs. Thanks so much for your honest, straight-forward review!